What shipping company do you use to ship to Bragg Creek, AB. Canada? Not all shipping companies deliver here. Fedex and UPS do but others do not. We use UPS for Canada. I'm using 206 to stain a fence. The Data Sheet says you can use an airless pump sprayer. Does that mean you can also use a manual pump sprayer? If so, are there any special instructions for that application method other than those listed? You can use a high-quality pump sprayer. Make sure to back wipe all drips and to ensure an even application. sorry just read description !! for log homes also ??? I want to use the 206 stain for an outdoor table top. Can I also apply a clear acrylic on it after it drys to seal and harden it? 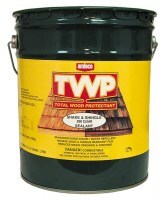 No, TWP cannot be top coated. We are an online dealer. We can ship it to you in Canada or if you have a US address, then we can ship it there. You will save on shipping with a US address. 1342 Military Road, Niagara Falls, NY 14304. 2-3 business days. You can order directly from the website. What is the best TWP product for brand new pressure treated posts---has been curing for 6 months and will be stained this coming April---looking for the darkest color? What should I use on my pine trim and log siding. Use the TWP 200 Series. Lasts about 3-7 years for siding. 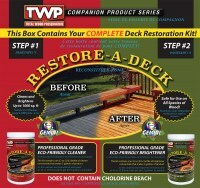 I've got TWP 201 to specify for a remodeling project in Atlanta. Is there a page with a brochure that details EXACTLY what the subcontractor will need to prep before installation. 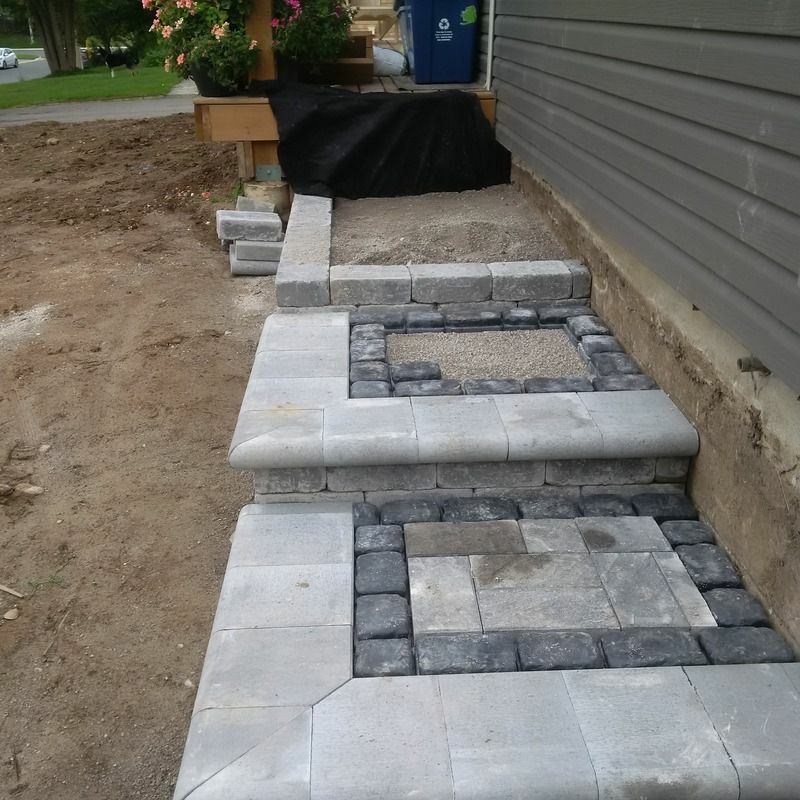 As well, along with the prep details the manufacturers warranty that will apply to a correctly prepared shingle and shake job. can i put it on now or should i wait for the wood to dry as it just came in from the lumber company that treats the wood? Once weathered and prepped, you can use it. I am working on a decretive upside down onion shape covered in cedar shakes on the top of an old Victorian. I am hoping to use the 200 on them and have it last. Any thoughts? I believe I spoke with someone a month or so ago and they recommended to thin the first coat and then finish with a second coat. Can I use multiple coats as long as I watch for build up? Thank you. The 200 Series is the correct product. You do not thin it though. Apply as is. You can apply two coats as long as the wood can fully absorb the two coats. Typically one is all you need. Is 200 series the only option available for Canada? Looking to stain an old pressure treated wood deck. Also, is 200 series really 1-coat application? Only the TWP 200 is allowed in Canada. Just one coat is needed. I understand that TWP 200 takes 48-96 hours to dry completely. How soon is it safe to 1) walk on the deck for people, and 2) let the cat out to the deck? This will vary based on the weather, wood, and UV exposure. Could be 3-7 days to fully cure. I'm sorry for being persistent but I'd like to understand what would happen if I let a cat out on a not-completely-cured deck? Will it get sick? Will it leave paw prints? If it is not fully cured and the cat gets the stain on his/her paws, it could get sick if it licks it. It is an oil-based stain so best to make sure it is fully cured first. Should not leave paw prints. Hi, I have three questions. 1) How much does it cost to ship TWP 200 series to Kingston Ontario Canada? 2) How long does the shipping take? I expect I'll need approximately 6 gallons but will measure to confirm. 3) I'm thinking of the slate gray but it appears to completely cover the wood grain. Does it do that or can you still see the wood grain as you can with the other stain colours? 1. Please add to cart and enter your shipping info to see the taxes and shipping charges. 3. It is a semi-solid so it should show some grain. How are your products tested (accelerated, outdoor, etc.)? Do you do your own testing or do you use a third party? Have you done testing in northern climates (where I'm at) or just in southern and western climates? How long do you expect your products to last in a northern climate before re-application is needed? They have been tested in the lab in a UV acceleration machine and in exterior climates. In a northern climate, the TWP should last 2 to 3 seasons. In 2015 I had my deck done in a 50-50 blend of #202 Redwood and #206 Russet. Your site is confusing as to whether you still offer those colors in the 200 series. The comparison page says you don't but the product page says you do. Please report back if you do. If you don't, which colors in the 100 series are the closest to these 2? do you have any samples for the 200 series? We do not have samples for the 200 Series. I am endeavouring to stain the decking on my covered (not enclosed) porch. It was built two years ago and the wood is pressure treat micro-pro sienna. I'm having a hard time with color from the swatches on-line. I don't want something that is too red or too orange. The porch is in direct proximity to interlock stairs, and the siding all shades of grey (see picture). Do you have larger photos of these stain colors post application? Do you ship swatches? If not, any suggestions?